US Sailing has released a full report on the Farallones race accident, along with the following press release. See what one of our editors had to say on the topic at Sailfeed.com. PORTSMOUTH, R.I. (August 6, 2012) – A US Sailing independent review panel has released the report on its investigation of the sailing accident that occurred on April 14, 2012 during the Full Crew Farallones Race out of San Francisco, Calif. The accident resulted in the deaths of five sailors from the sailboat, Low Speed Chase. 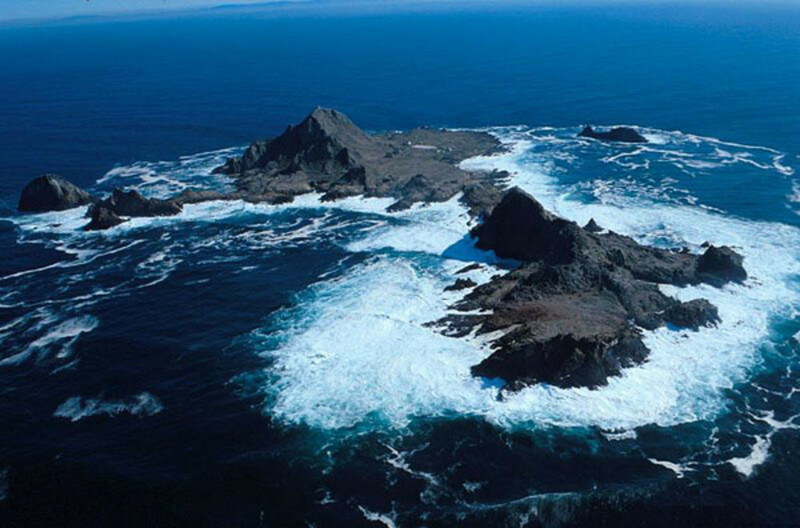 The crew of eight aboard Low Speed Chase encountered larger than average breaking waves when rounding Maintop Island, the northwest point of Southeast Farallon Island. These waves capsized the vessel, a Sydney 38, and drove it onto the rocky shore. Seven of the eight crew members were thrown from the boat into the water. Only two of those sailors in the water made it to shore and survived. As a result of the panel’s research and analysis, they determined that the primary cause of the capsizing was due to the course sailed by Low Speed Chase, which took them across a shoal area where breaking waves could be expected. During the course of the analysis, multiple track lines from other racers that day were obtained and are provided in the report. It is noted that the Low Speed Chase was not the only vessel which crossed or sailed very near this shoal area. Although the course sailed was the direct cause of the accident, there were additional safety issues that came to light during the investigation. The panel concluded that improved personal safety gear, including life jackets and harnesses, may have increased the sailors’ chances of survival. They also concluded that enhanced communication capabilities between the race committee and race boats, and improved race management protocols could have better assisted the search and rescue efforts. The panel noted that these additional issues did not directly affect the outcome of this incident. However, improvements in these areas may save lives or reduce injuries in future accidents. The essential key to prevention would have been a more conservative course selection to avoid breaking seas in shoal water on a lee shore. Coast Guard Sector San Francisco called for an offshore racing safety stand down to provide the time necessary to review safety procedures. US Sailing, the national governing body for the sport, conducted an independent review of the sailing accident and investigated the circumstances in an attempt to help reduce the chance of future similar tragedies and make offshore racing safer. The panel formed in response to this request collected factual information through extensive interviews, review of available GPS tracks and weather data, and questionnaire responses from race participants. The team also relied heavily on the panel’s deep knowledge base and sailing experience. As a result of the tragedy, the seven Organizing Authorities which run local ocean events, all with disparate equipment requirements and safety procedures in the past, have come together to form the NorCal Ocean Racing Council (NorCal ORC). The goal of the NorCal ORC is to settle on a common set of best practices for safety in offshore events, and to develop an on-going process for continuous improvement of those practices. Numerous improvements have been implemented already, including a web-based system for managing crew information, new mandatory safety equipment inspections, and improved protocol and log for all race committee communications. These improvements will help the race committee to better support the deployment of Coast Guard resources. The members of the panel include Chairman, Sally Lindsay Honey (Palo Alto, Calif.), John Craig (San Rafael, Calif.), Jim Corenman (Friday Harbor, Wash.), Bill Barton (Boston, Mass.) and Bartz Schneider (Crystal Bay, Nev.). Offshore Special Regulations Consultant on the panel is Evans Starzinger (Milford, Conn.). The Safety-at-Sea Committee Chair and panel liaison is Chuck Hawley (Santa Cruz, Calif.). Medical advisors are Dr. Kent Benedict (Aptos, Calif.) and Dr. Michael Jacobs (Vineyard Haven, Mass.). Jim Wildey (Annapolis, Md.) advised on investigation procedures and formats. Panelist bios are included in the report. Read the US Sailing Report on the 2012 Full Crew Farallones Race.